Everyone wants to have a beautiful, straight and bright white smile. Not only is it a sign of good health, but it also can be a huge source of confidence for our patients. But over time, the foods that we eat and the beverages we drink can cause our teeth to turn brown or yellow. In this blog post, we want to look at 5 things that our patients can do to stop their teeth from getting stained. But if your teeth are already discolored, there’s still hope! The best way to get back that shining white color is with teeth whitening. Monrovia patients that are tired of having discolored teeth should call Dr. Q today at (626) 599-9819. Many of our patients can get whiter teeth in just one treatment! Plus, teeth whitening does not require any kind of anesthetic or anesthesia. 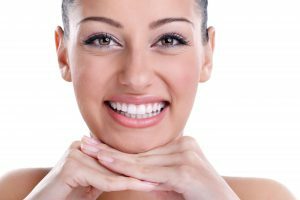 We enjoy answering any questions that our patients might have about teeth whitening. Monrovia patients absolutely love having Dr. Q as their dentist. Our patients appreciate how gentle Dr. Q is during all of their procedures. Plus, Dr. Q also offers a full range of sedation dentistry options to make sure that you’re comfortable at all times. As an active member of the American Dental Association, the California Dental Association, and the Monrovia Chamber of Commerce, Dr. Q is one of the most respected dentists in the region. Get in touch with us today to get started. The main culprits for teeth stains are actually beverages. Coffee, wine, and dark soda are just a few of them. On the food side, berries, pasta sauce, lemon juice, soy sauce, and pickles can also contribute. Here are some tips to reduce the chances that your teeth get stained. Use a Straw – A straw allows your drinks to bypass your teeth so that they avoid any of the stain-causing properties of them. Get rid of plaque – Not only can plaque cause cavities and gum disease, but it also eventually turns into something called tartar. This is a very hard substance that is dark in color and can cause unsightly stains on your teeth. Brush before – Many of our patients brush after their meals. But if you brush before you eat or drink staining foods, you can reduce the amount of plaque on your teeth. Plaque attracts the tannins in wine and coffee that stain your teeth. So less plaque means fewer stains. Rinse with water – Another great idea is to rinse out your mouth after you drink coffee or wine. This reduces the amount of contact your teeth have with the stain-causing properties of the food or beverage. Eat healthily – Some foods have properties that are natural teeth whiteners. Monrovia patients that eat fruits and veggies like watermelon, broccoli, beans, potatoes and more could reduce or prevent stains on their teeth. Monrovia patients rave about their experiences with Dr. Q. Just take a look at our Reviews page to see some of the incredible things they have to say about her. The first step to getting started is to give our offices a call today at (626) 599-9819. We greatly appreciate it when a new patient calls us. We’re more than happy to learn more about you, answer your questions, and talk with you about the procedures and treatments that we offer. The next step is to schedule your appointment here at our comfortable offices.